Humans are now the number one suspects in an ancient extinction case. 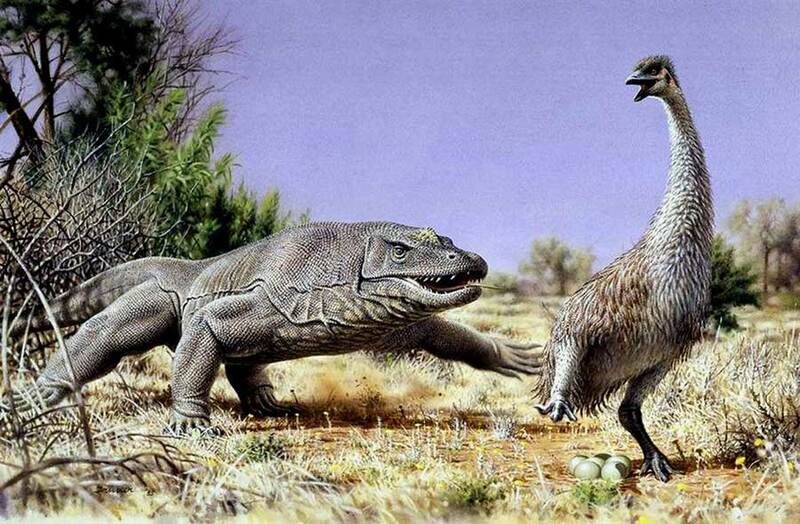 The victim was the flightless bird known as Genyornis newtoni that lived over 50,000 years ago. As evidence of the provoked extinction, eggshells with burn signals were found all over Australia. The humans, according to the study, harvested their eggs which would have meant a decreased on the bird’s reproductive success and eventually contributed to their extinction. Humans discarding eggshells in and around transient fires, supposedly to cook and eat the Genyornis eggs created the evidence. The burnt eggshells could not have been burnt by a wildfire, the only explanation for it is human action, because such burn could only be produced by a localized heat source, likely an ember, the team said. “We consider this the first and only secure evidence that humans were directly preying on now-extinct Australian mega fauna,” said Gifford Miller, associate director of CU-Boulder’s Institute of Arctic and Alpine Research. He added that they documented evidence at more than 200 sites across the continent. The researchers declared that they did not came up with any scenario that explain those burns were made insitu. Miller also said that the team found many eggshells from the Genyornis newtoni in tight clusters with less than 10 feet in diameter, with no other eggshells around. The difference between the burnt and the normal eggs is nearly 1,000 degrees Fahrenheit, which they again added could not have been provoked in a natural way. The eggshells discovered are between 54,000 to 44,000 years old, which coincided with the same time frame that humans were thought to have arrived on the continent, as reported by The Washington Post. The climate change was considered by the researches, but the survival of mega fauna during an early more-extreme climate fluctuation pointed out the low probability to be the cause of the extinction. Instead, the unlike situation of the climate changing leaves humans as a more likely possibility.